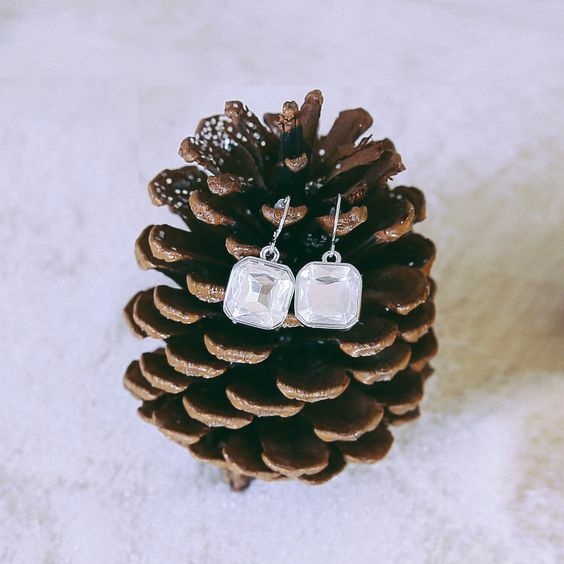 T'is the season to display jewelry! Christmas is just around the corner; is your Holiday inventory ready for display? 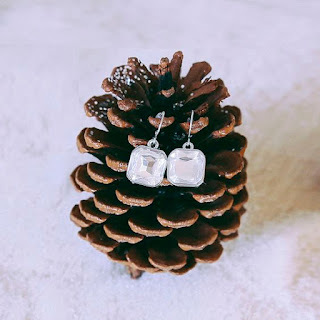 Whether you're gearing up for the Christmas craft fair or for the holiday shopping craze, it's wise to start thinking about themes for your Christmas jewelry displays. This week, we'll be sharing some festive ideas you can draw inspiration from. Make your booth the most memorable one at the craft fair and attract new customers with your creative jewelry display. Pinecones are associated with the festive season making it a great theme for your display. Place the pinecones upright on a tray lined with white cloth to resemble snow. Use glue to secure them. You can also add some lace if you want to make it a bit fancy. Add some poinsettias on the side for a more festive feel. This display is great to use for earrings and rings. No Christmas is complete without the Christmas tree. This DIY jewelry display is very easy to make and perfect for those who love upcycling. Tie driftwood branches together using brown string. Next, fill a small bowl with modeling clay. Secure the tree by "planting" it into the clay. Cover the bowl with shells, colored paper, or leaves; basically whatever you fancy. 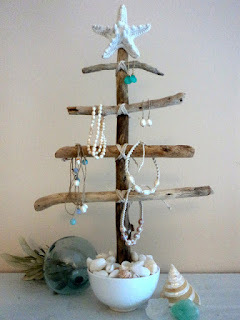 Hang bracelets, necklaces, rings, and earrings on the branches. Fairy lights not only remind us of Stranger Things but also of the holidays. 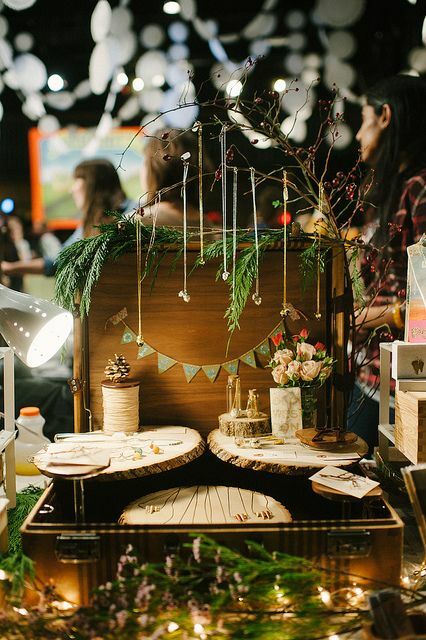 Get your jewelry displays out and decorate with fairy lights. Warm white tones are the ideal color of bulbs to use, but feel free to experiment with other colors. Also, the thin-wired LED fairy lights are the best ones to use. If you have no time for DIY Christmas jewelry displays, you can opt for the traditional jewelry displays, but with a twist. Hang Christmas ornaments with the jewelry pieces. Decorate with mistletoe, little Christmas trees, and even with peppermint candy canes. 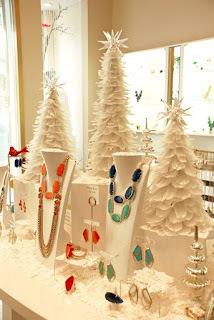 Got any Christmas jewelry display ideas? Feel free to share them in the comments section below!